How to update and refresh your business website? Updated: 11 May 17 By Nirmal G. business website 7 Comments on How to update and refresh your business website? How often do you update and refresh your own website? We live in the world where technology changes every day. The trend that you follow today might get updated tomorrow. Every customer uses the internet to look for the certain things they require. Developing a website expands your business making it popular to the global customers. Also, a beautiful and functional website also makes your business reliable. Therefore, if you have a company, do not miss a chance to develop a business website and share your business with wide-ranging audiences. Also, Developing a business website is a suitable way to sell your product and service to the extensive marketplace. Customers love to shop through the internet as it is time-saving and they do not have to waste their effort visiting shop to shop. So, taking your company online potentially lets you take advantage of recent technology and improve your business website accordingly. If you do not want to use a website for selling purposes, you can use it to make customers familiar with your company along with the product and service. Mostly, customers search your company on the internet earlier than they visit. This makes you clear, a quality designed website surely influences customers to visit and find your business instantly. Websites definitely expose you to a large number of potential consumers, increasing the range of the global audiences. Audiences who visit your site regularly are already interested in your business. So, to uphold them provide reliable service for better customer experience. You might have employed different types of advertisement like radio advertisement, newspaper ad, television ad and more to promote your business. These types of advertisement might go beyond your budget as they are expensive. However, websites are one of the cost-effective ways of promoting your business online as the different version of offline marketing is accessible on the internet. And, you can look for the one with no charge as well. Websites act like an online catalogue and brochure. It is very easy and fast to keep your customer updated regarding the products and services compared to other means of communication. Additionally, it also updates your customers with the upcoming events, the arrival of new products, promotion of particular products or services or any special offer you provide. The website is available every 24/7/365 and your consumers can simply access information about your company any time they desire. And, they can get familiar with your business along with the cost as well as locations. A website can be frequently updated and maintained compared to other sources of advertisements. Moreover, it is a cost-effective way to update the contents which are measured through time only, but printed materials count both materials as well as time. So, website benefits your company with effortless maintenance and update if required any. Developing a website is the easiest ways to generate leads, making your consumers buy products and services through a click of the mouse. Quality websites influence more customers towards the site with satisfaction. Additionally, they can talk to you immediately if they have any queries regarding the services you enclose. The website counts as the first impression towards your business as it is mostly the first touch point of customers with your company. Since the internet is constantly growing and evolving medium, old information gets updated with the new on regularly. Any business you hold, the business website helps to boost the visibility, making it popular with the audiences around the world. Similarly, the website trend that you employ today might become old tomorrow and if you do not stay updated then your business might be backwards. Better go with the recent technology and keep your website fresh and updated. Updated and Refreshed business websites bring credibility to your business. Additionally, search engine Google also recommends the website that is regularly updated. However, most of you might be aware on updating the site regularly. If you count on one of them and do not have a proper idea to update your site, do not worry I am going to help you. Do you remember the last time you refreshed and updated your contents? If you have not updated it regularly, then you are surely lacking behind other websites as most of the search engine counting Google used web crawlers to get familiar with fresh, informative, significant and handy contents. Proving new contents on a regular basis is essential which increases customer engagement increasing the rankings in search engine result page. This will surely boost traffic to your site. Since content holds an expiry date and those who ignore it might be behind the competition. Thus, regular updates of contents provide your site with a new lease on life in the world of technology making search engines happier. Mobile internet users are emerging day by day. The increase of mobile shoppers has caused many web site proprietors to think about the significance of having mobile-friendly websites. Search engine Google has also updated algorithm which focuses mainly on mobile compatible websites. So, if you have not updated your business websites, then do not be late, start to develop mobile-friendly websites now. Along with developing a mobile-friendly website, it is essential to check how your website appears on different mobile devices. Some templates like Weebly, Squarespace or WordPress can be helpful for a mobile compatible website. Additionally, it also helps to reach the maximum number of customers adding some productivity to your business. 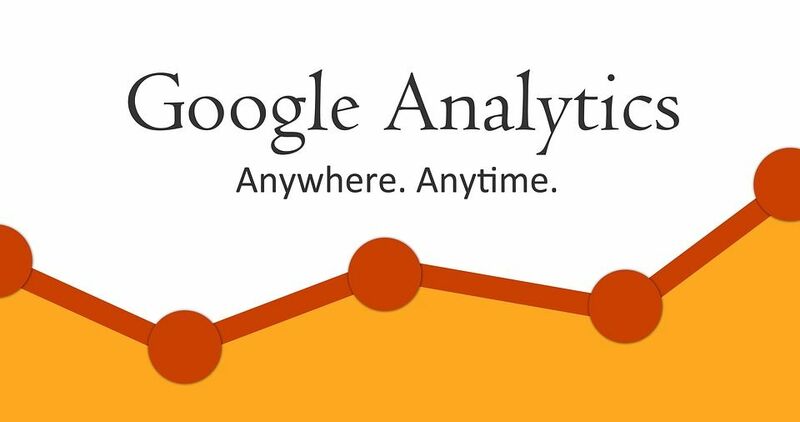 Google Analytics refers to a web analytic service powered by Google for tracking as well as reporting web traffic. This tool is available for free and is handy while using jointly with the free BoostSuite account. Adding Google Analytics, you will acquire Customer Acquisition report, which provides simple yet essential perception for your company. In addition, the report also shows the way audiences are landing on your site. Throughout the Search Engine Optimisation (SEO) campaign, you might require Google Analytics for tracking your keyword performance to run the campaign successfully. Better integrate Google Analytics with your website as it helps to determine the accomplishment of your site. CMS provides complete control of the system which helps to update, edit and manage the contents yourself. If you depend on your web developer to update the content, then you might not have the capability to refresh your content instantly when it is necessary. You should take in capability to execute some fundamental task like adding the new post, updating menus. CMS plays a significant role to set up this sort of task allowing multiple users to update and post the contents. Additionally, better hire an employee who works on a particular section of a site for managing the content. This surely provides you with the capability to update your site frequently by yourself. Any you enclose either online shopping or restaurants or multi-national company, better know your audiences. Your site should hold some opportunities to get information about your potential customers and audiences. Keep your site updated and offer your audiences to recruit particular agreement signing up your e-mail list. To make your business more effective and get familiar with your audiences, note down their address whether after completing a sale or pop up which emerges throughout their engagement. Nevertheless, it is your duty to take in all the details that you follow through emails regularly without appearing as a spam by your subscribers. Your beautiful design is useless if you fail to load your website instantly. Load times are equally essential to improve your page visibility in search engine and to develop good customer experience. Not a single customers wish to visit the website that takes lots of time to load the page with a slow interface. Customer rather prefers to visit other websites than to wait for page load. If your website is slow, then you are definitely losing your customers making your business unproductive. Luckily, there are some online tools which are available free of charge to test the load time of your site. To enhance load time, you can remove some features such as music or videos which load automatically when new audiences visit your website. Make sure you keep your home page clean with an easy navigation menu. Developing a business website is only an initial step to make your site popular among the targeted audiences. If you want to make it more productive, you should update and refresh your website on a regular basis providing a good experience to your customers.